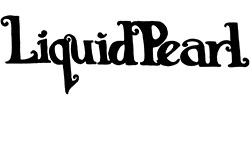 My main passion since about 2005 has been jug band music, which is blues, jazz and ragtime music performed on a combination of string band and homemade instruments. I just love the energy and spontaneity that comes from playing simple songs with great enthusiasm. 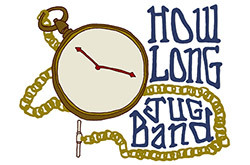 Since 2010, the How Long Jug Band has captured my ideal of a modern jug band sound, with heavy 1920's-30's influences plus a bit of rock and roll swagger. Learning guitar can be a life-long project because there are so many ways to play it. 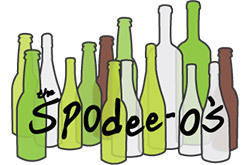 The Spodee-o's was my excuse to learn the Piedmont style, playing a dual bass line and melody with fingerpicks. In the process, I've been able to meet some great Portland-area players and even performed for a sponsor's party at the Waterfront Blues Festival. 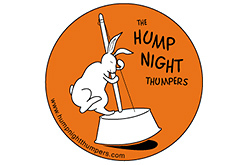 From 2003 to 2009, most of my music energy went into teaching at the Old Town School of Folk Music, including my weekly jug band class, which performed under the stage name The Hump Night Thumpers. We were the first student group to play at the Chicago Folk and Roots Festival, won the Minneapolis Battle of the Jug Bands and recorded a full-length album before I left Chicago and passed the group on to a new teacher. Anna Belyaev and I were perfect songwriting collaborators, because she was bursting with ideas and I love writing and wordsmithing. 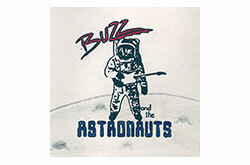 We recorded two kids' albums, one as a straightforward acoustic duo and another with a more ambitious studio band. Playing with a band is always more fun than performing solo, and this band gave me a brief break in the middle of several years of mostly solo work. With acoustic guitar, acoustic bass and hand percussion, we billed this as an "acoustic power trio," then named ourselves after Jimi Hendrix's band. For my last year of college I put together a more relaxed group for a few acoustic shows. I didn't realize it at the time, but I'd never play in a regular rock band again. It's too bad -- my electric guitars are really dusty now. When I got to college I started writing songs, and also started taking my music a lot more seriously. Too seriously, apparently, because one of the other bands on campus liked to burst in on our shows and try tickling me to make me smile! But I did write a lot of songs for this group, a few of which I'm not even embarrassed by now. My very first band was a collaboration between some of my high school classmates and teachers, with an occasional cameo by the school principal. There was no better way to learn basic guitar chords than jamming on songs like Louie Louie, Wooly Bully and Runaway. I got some experience promoting shows and designing album covers, too.